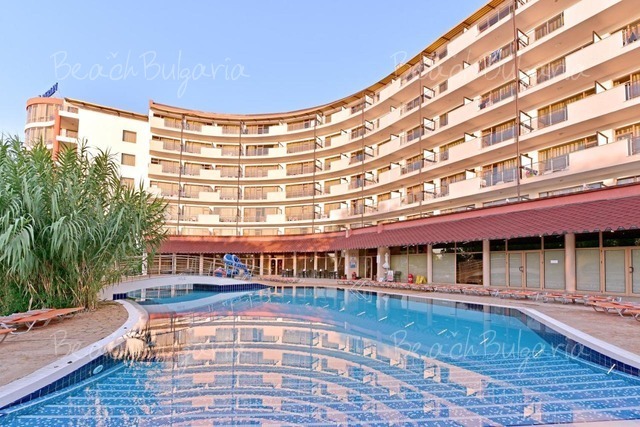 Doubletree by Hilton Varna hotel is located 350 m from the beach, just off the A9 Highway and at 30 minutes driving distance from Varna International Airport. 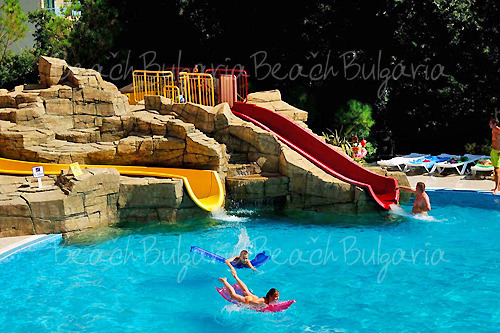 The hotel is located in the forest of Golden Sands Natural Park, overlooking the Black Sea coast. The hotel offers free of charge shuttle-bus to the beach. The hotel offers 155 double rooms, 24 junior suites. 17 one-bedroom apartments. The guestrooms feature LCD TV, high-speed internet, balconies with splendid views, luxurious Sweet Dreams beds. Two restaurants, Lobby Bar with Sun Terrace and a stylish Nightclub. 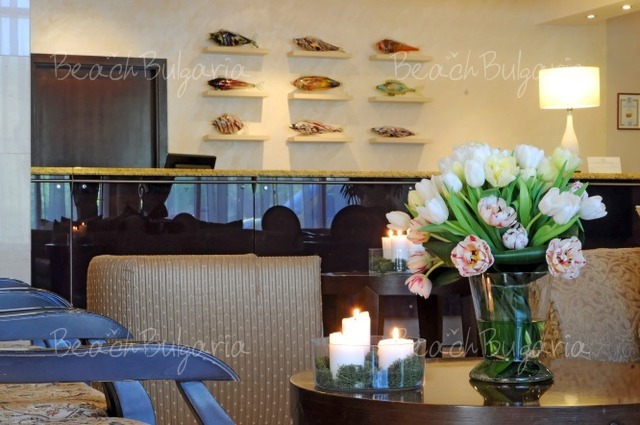 The restaurant offers dishes from traditional Bulgarian cuisine. Sport and recreation: The property features 2 outdoor swimming pools, an indoor swimming pool, a sauna, a steam bath, a fitness centre and a tennis court with an instructor. For children the hotel provides kid's club and a playground. Wi-Fi internet access is available in public areas, conference room and business center. The hotel provides conference room and business centre for your meetings, special events, weddings, etc. * The prices are in EUR, per night, per room/apartment, breakfast and swimming pool, sunbeds, parasole and fitness included. Please, post a comment on Doubletree by Hilton Hotel Varna. Very good service and helpful assistance. Would definitely use again. - 40% special offer during 01.09.2019 - 30.09.2019! - 20% discount until 30 April 2019.